Oh look! Another conference! Betsy and I are presenting, and I think we’ll have some REALLY cool things to show off by the time October rolls around. 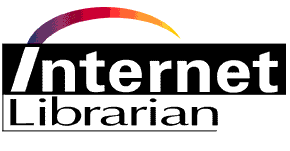 Come join us at Internet Librarian in Monterey! This session focuses on using mobile media in traditional early literacy programming with specific examples from Mother Goose on the Loose (MGOL) and Every Child Ready to Read 2 (ECRR2), early literacy programming initiatives that educate and empower parents to support and develop their children’s early literacy development. The next generation of these landmark storytelling frameworks, MGOL 2.0 & ECRR2.0, capitalize on parent education to model positive media behaviors and enforce the concept of joint media engagement as more and more families begin accessing children’s books through mobile devices such as smart phones and tablets. Speakers present Apps and eBooks right alongside paper books, and develop resources for parents to provide guidance for age appropriate and high quality digital media interactions for young children. Posted on June 6, 2013, in collaboration, conferences and tagged ECRR, MGOL. Bookmark the permalink. Leave a comment.